Have you ever stopped to think about the journey of your junk? 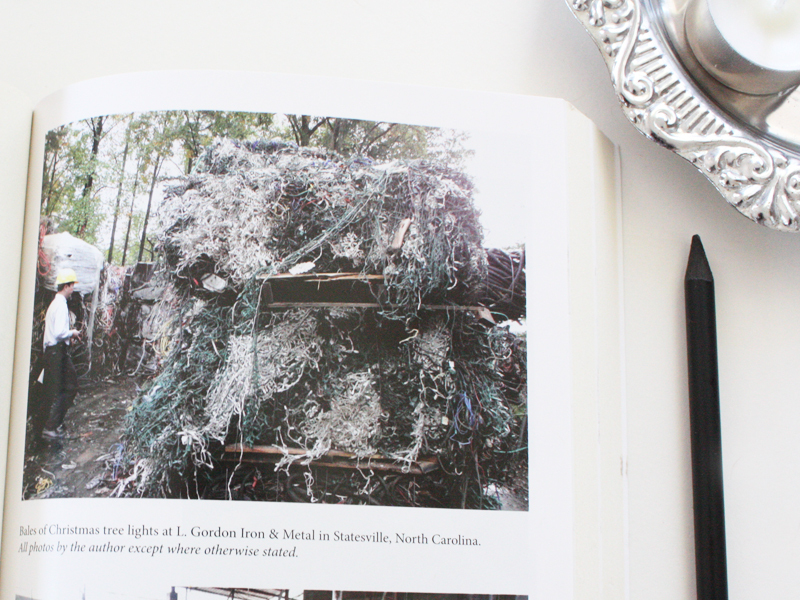 As we slide face first into the Christmas season it seemed fitting to review a book on ‘junk’ that’s introduction begins with the tale of Americas Christmas lights- 6600 pounds of Christmas lights to be exact. These Christmas lights are just a small ‘off season’ mid November haul for the scrap metal facility in rural Chinese town of Shijiao. High season is the new year when people throw away their festive decorations. Conservative estimates suggest that 2.2 million pounds of imported Chirstmas lights are processed through the scrap metal recycling factories of Shijiao every year. This specific facility strips the plastic off the valuable wires and sells the plastic on to slipper sole manufacturers. Want to know how your Chirstmas lights are recycled? The lights are thrown into shredders, pulverised into a goop, shot out onto long tables where workers shovel the goop over the surface with a thin film of water that separates plastic from copper. 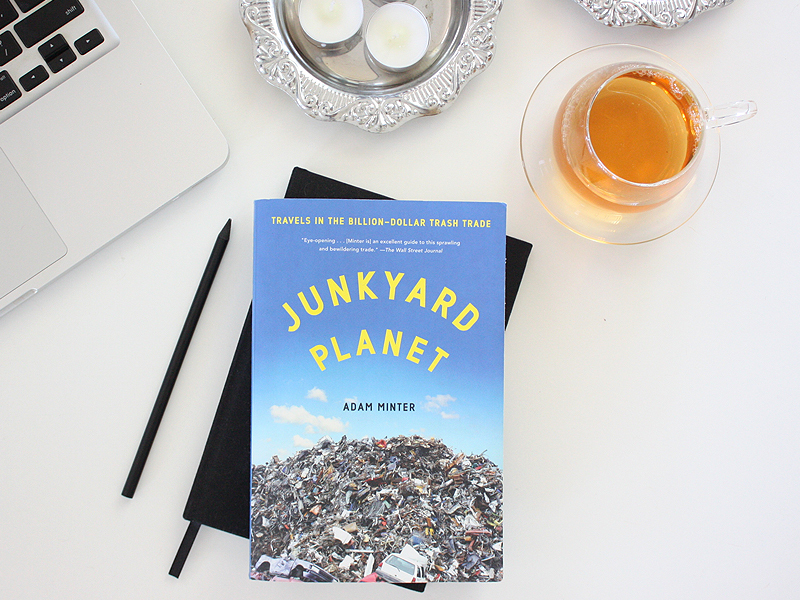 This is just one small example of the gravity of our disposable society and the capacity for recycling to create opportunities for employment from Junkyard Planet, a book written by Adam Minter, who is committed to telling the tales of our global recycling industry. The global recycling industry is worth 500 billion dollars annually (that’s equivalent to the GDP of Norway) and it currently employs more people than any other industry on the planet excluding agriculture. There is more to recycling than sorting cardboard from glass and paper from plastic. Minter speaks of an ‘ethical compulsion to fill’ his curbside bins. The degree to which someone recycles primarily comes down to whether or not they can derive some economic benefit from reusing the waste. Which is where we might see someone use a glass jar as a vase or a kitchen implement, but as some point there has to be an economic benefit or an easy of use to encourage the recycling process. Minter notes that in many places enviro minded people don’t bother recycling properly when they are really busy. Which means that often items that could be reused or recycled end up in landfill. Ethics and recycling don’t always neatly align. While environmentally it makes sense to recycle it’s not always totally ethical. Why? Because it needs to be profitable to turn old things into new things and this process usually involves a lot of manual labour. Much of the ‘Wests’ waste is sent to nations where wages are cheaper and workers are plentiful to maximise profit. While this can be totally ethical if we pay the workers well and provide them save working conditions this isn’t always the case. Minter notes that in the Chinese scrap facilities he visited PPE is not common and more often than not people are working with dangerous chemicals/fumes/conditions wearing little more than thongs on their feet and cotton tshirts on their backs. However for many it’s a chance to escape slums, or to provide food and shelter for their family that, as time passes, will result in a stronger economy and with safer working conditions and better wages (if they get there!). This delicate balance of fostering ethical manufacturing and fair pay in emerging economies without pricing them out of the market is always a contentious issue (and one that causes a lot of debate in the fast fashion manufacturing supply chain). We live on a Junkyard Planet. 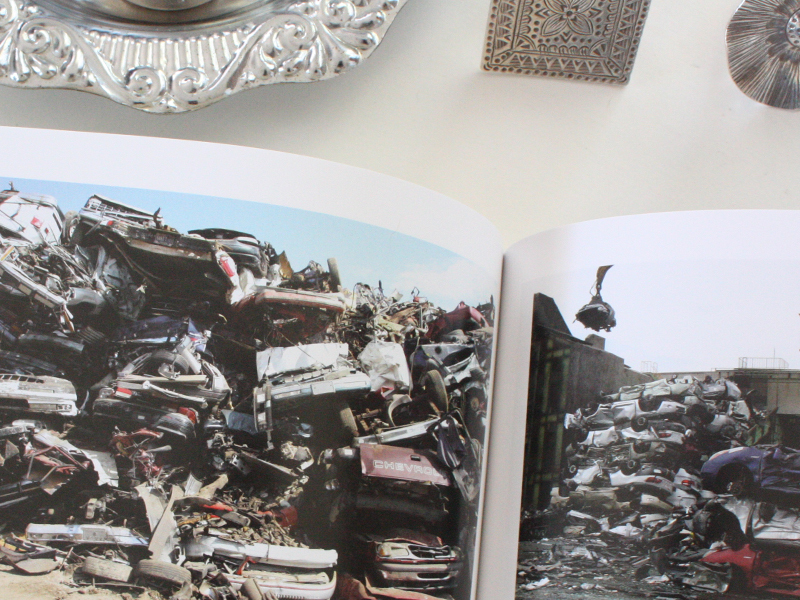 Minter’s accounts of his tales across our Global Trash trade is a bit to full on to surmise here. It’s a fairly in-depth account and a great look at the ins and outs of where some of our unwanteds could end up. There is no specific focus on fashion and textiles but this mentions of it. Despite it’s lack of fashion-related-thought-fodder I thought you guys might appreciate learning of it’s existence and possibly want to put it on your reading list. I would recommend it as a read for those who are looking at reducing their waste or aiming for a zero waste lifestyle. It’s also a great gift idea for the techno-junkies or shop-a-holics in your life because it won’t make them feel threatened by the journey of their purchases (it’s not a guilt laden eco-read) but it might make them think about the fact that their rubbish will go somewhere and hopefully inspire them to look for ways to recycle over sending to landfill. As a rubbish obsessed weirdo I thoroughly enjoyed this book and would recommend it to every other rubbish obsessed weirdo out there (I’m not the only one right?). Have you come across and recycling practices that have surprised you? Perhaps you don’t recycle at all. Or you might be the other extreme and live a zero waste lifestyle. Share all your thoughts and feelings with us below.